The composition of pink salt (#1) is in the book. Here in Europe we often use saltpeter instead of #2. That I can buy in some larger supermarkets here. Perhaps it is the same in South America? Pink salt, #1 is by memory, 6.0% Sodium nitrite and the rest NaCL, [that is 1 oz. sodium nitrite to 1 pound NaCl per the CIA Garde Marche book] but do check your book. Salt petre is Potassium nitrate and as said, used in Europe. In the US we have Sodium Nitrate. I don't remember which but have read that They taste different. 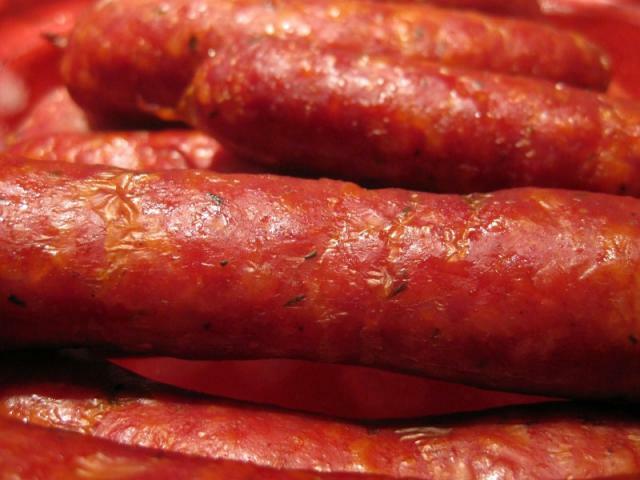 I believe the difference to be minor as I love to eat all the sausages I've ever found in Europe and the Americas. I can't say which is better. According to Great Sausage Recipes And Meat Curing, 3rd ed. by Rytek Kutas, Insta Cure #2 is 1 oz of sodium nitrite plus 64/100 oz of sodium nitrate plus a pound of salt. This book is published by Sausage Maker Inc. www.sausagemaker.com I think Kutsas founded the company. I hope this helps but urge anybody to do their own look-ups. 28.3 grams ish to an ounce FWIW. 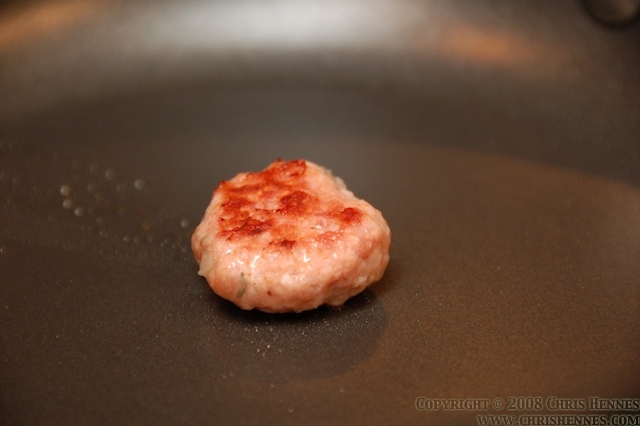 Up until now, I've been using some pretty low-quality belly meat from an Asian market near me. Now that I'm more confident with my bacon making ability (and after purchasing a poorer-than-normal belly), I'd like to try out some higher quality meat. I've looked at Niman Ranch, and while I'd really like to, I don't think I can justify paying as much in shipping as the belly costs. $75 bacon seems just a bit extravagant. Does anyone have any suggestions as to good-quality meat that isn't going to cost me an arm and a leg? A few people have had luck ordering Niman Ranch through Whole Foods. It seems that the likelihood of success depends on how cooperative the meat manager is, and whether or not you'll buy the whole case, or they think they can sell it. Other possibilities: 1) make friends with the meat dude at your grocery store, then ask them to order for you; 2) call up Cochon and see if they'll sell you one; 2) find a better Asian market. I've been getting whole bellies from Super H Mart, and the quality is quite good. I think Whole Foods (at least the Uptown one) is out, due to not-so-interested meat people. Cochon is probably a good bet. They're also building a meat market across the street. Not sure when that'll be done, though. However - the point about "prague powders" is that they were produced by a specific method, really rapid ("flash") evaporation of a mixed salt+nitrite solution. The reason for that was to get equal-sized (and incidentally small) crystals. Thanks, i thought it was very beautiful too! That was a piece of pancetta in the background, though the recipe wasn't from the book it was from here. 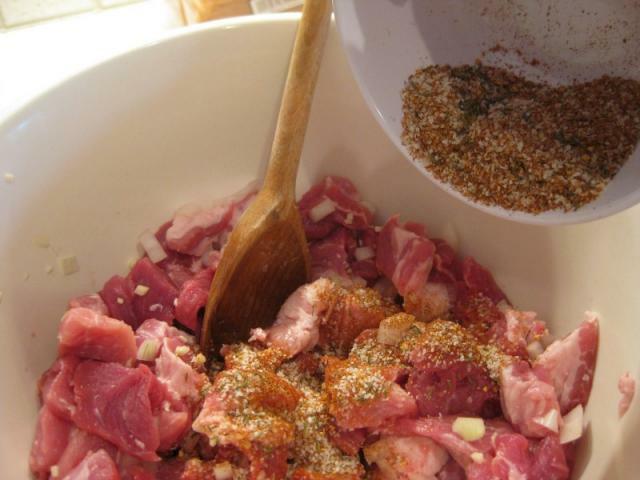 I've made this pancetta recipe a few times and it's wonderful. 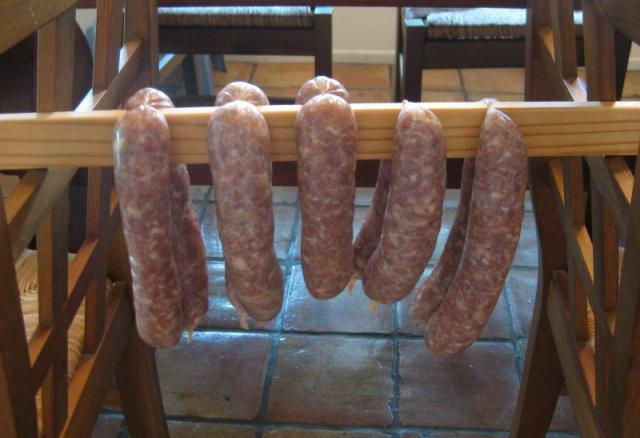 As for drying and fermentation of those sausages, i just hung them in a roomy cupboard in my garage. The temperature was around 15-18C but i have no idea of the humidity. Felt neither too humid nor arid i suppose. 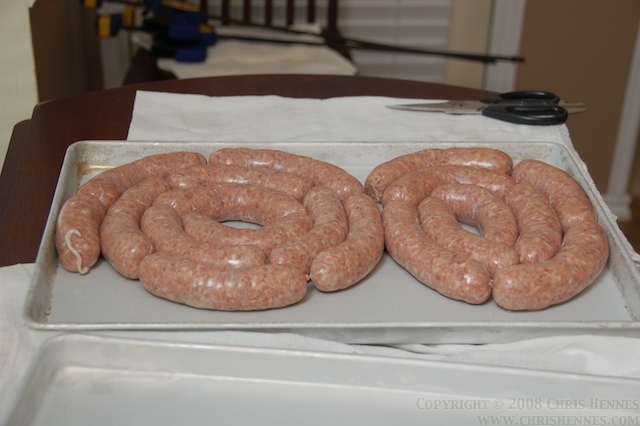 I guess i got lucky first time with these cured sausages. I can't wait to process the next pig. We had a Gloucester Old Spot this time but i think we'll go back to a Tamworth again next time. IMO there was a noticeable difference in flavour. Tamworth was simply more succulent and flavoursome. May not be obvious in sausages but definitely with the hams and pancetta. Does anyone have an opinion on which breeds are best for which treatment? I think my butcher can supply Saddleback, Berkshire as well as the aforementioned duo. I'm passing on the trade! I brought some bacon into work, and a coworker was so enamored of it, she's decided to make her own. We just got a Weber Smokey Mountain and have really been enjoying using it. 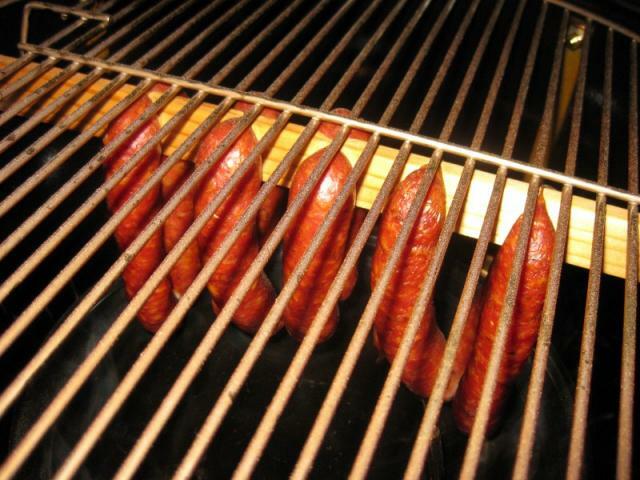 This weekend we did our first smoked sausages. We couldn't be happier with how these guys turned out. They taste fantastic. Hi folks! I'm a curing novice seeking a bit of guidance. I've got two beautiful cured jowls which have been hanging to dry for a while, and I'm starting to have the feeling that they're not actually drying out much anymore. I'm curing them in a wine cooler set to 55 degrees, but it has been a bit damp this summer, so I've had trouble keeping the humidity down to a reasonable level (I think it fluctuates between about 60 and 80%). About two months after I hung them to dry, they only seem to have lost about 20% of their weight. They also seem like they have a fair amount of give to them in the thickest spots, but frankly I'm not sure how much give they should have. 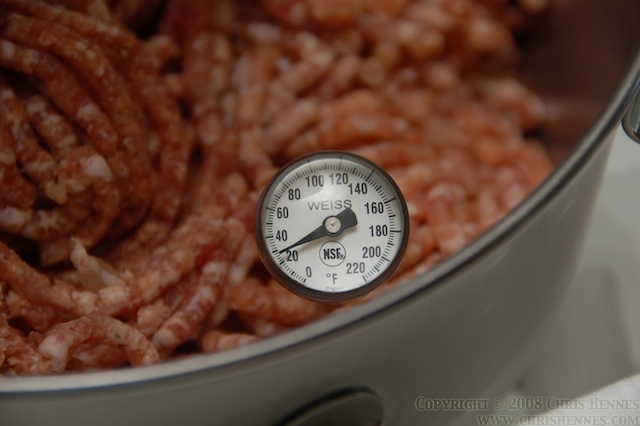 The reading I've done indicates that dry cured sausages should lose about 40% of their weight, but I'm wondering if my jowls, which are mostly fat, might lose less (on the assumption that meat contains more water than fat). Or maybe they taking forever because it's too humid? Or because there's not enough airflow in that little cooler? Also, I know it's not critical since guanciale is usually cooked, but would it be safe to eat raw even if it's not fully dried? Thanks so much for any and all help. By the way, I cured them with the basic dry cure from Charcuterie, plus some thyme and pepper, to keep the flavor simple and porky for my first batch. A fatty part, like the jowl, will lose less water weight than a meaty portion, yes. I think it is safe to eat raw as well. 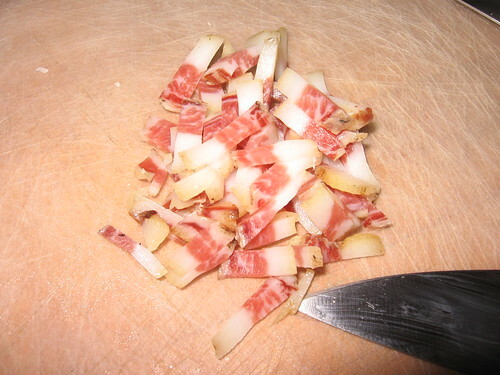 Pancetta in italy is sometimes served raw with other salumi on a plate. It's yummy. Glad you liked the andouille, PopsicleToze and Prawncrackers! The smoker has been a revelation and we have an ever-growing list of items that just *need* to be smoked. Prawncrackers - I am in awe of your cured meats. 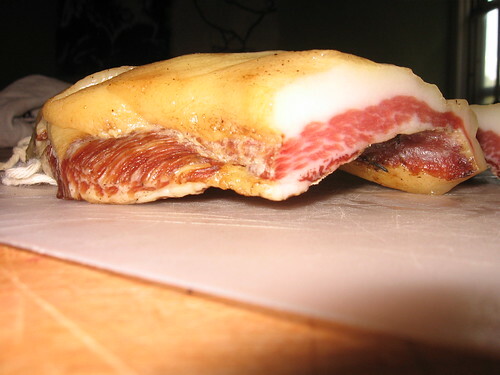 We haven't yet attempted anything beyond pancetta (temperatures here in Southern California can make curing difficult). Regarding the pig's head - don't skip it next time and use it to make head cheese. Fantastic stuff! Also try to get the trotters, as you'll need some of them, too. There is actually an English word for Fromage de Tete, it's Brawn. I like brawn but i don't think i know anyone else who would enjoy it that much. To be honest i don't think i could love that much to eat a whole head on my own! The head added so much onto the price that it simply isn't worth the effort for me. Trotters yes, head no. Seriously though i am in just as much awe with your smoked andouilles. I've always wanted to hot-smoke my own eels, have you tried fish in your WSM? Do you think it can accomodate a fat long eel? 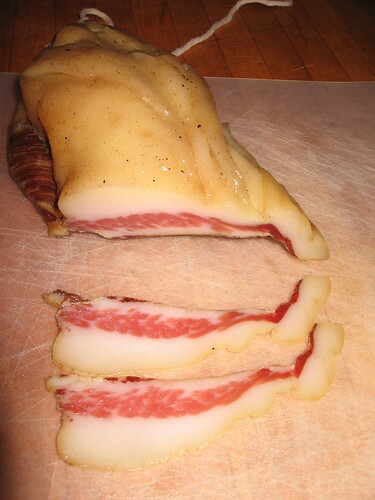 Yea, I've eaten my guanciale raw before with no ill effect, though ymmv of course. It just tastes much better cooked, when you get the fat to crisp up. And I've never weighed my jowls pre- and post-cure, but they definitely don't lose as much weight as I was expecting before I got obsessed with making the stuff. Also, I've recently had good luck regulating the humidity by putting a bowl of CaCl in the bottom of the fridge and replacing it every couple days. Helps considerably in keeping the humidity down in the 60-65 area. I've always wanted to hot-smoke my own eels, have you tried fish in your WSM? Do you think it can accomodate a fat long eel? We haven't done any fish yet, but hot-smoking some salmon is high up on our todo list. I don't see any reason that and eel wouldn't work. You could only hang it if it wasn't too long (i.e. no more than about 8 inches - unless you maybe rigged something to hang from the top vent - and then you are looking at about 16 inches), but you could always curl it up on a grill rack. 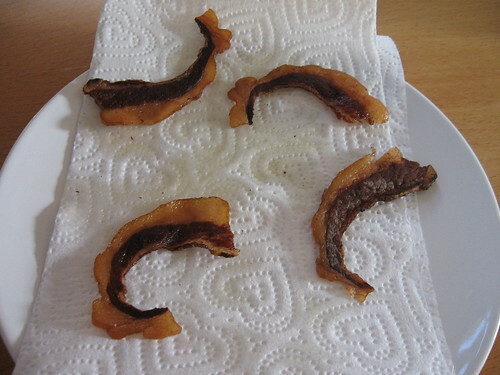 OK, so I decided to take down my guanciale and cut into it, and I'm wondering if perhaps I let it go too long, despite the fact that some charcutiers I spoke to told me not to worry about going too long. Generally it looks great, but the scent seems like it changed slightly from that delicious cured meat smell to something a bit less pleasant... a bit rancid maybe? I also noticed that it has a much more pronounced yellow ring around the exterior than some other pictures I see. which makes me wonder about oxidation. It fries up beautifully, and it has a nice, clean intense porky flavor, but I do pick up a hint of what seems like rancidity (unless that's just the funkiness of a heritage breed jowl and I'm projecting my fears). So here are some pictures. What do you think, did this start to turn rancid or am I just being crazy? it doesn't taste bad per se, just a bit unexpected. Again, I cured it at 55 degrees and it was a bit too humid, for two months. I kept a blanket over the cooler to keep it dark too. I have a confession to make, and I hope no one here hurts me. I've made fresh bacon from the recipe in Charcuterie with bellies purchased from Nieman Ranch (they are a beautiful sight to behold), and I've learned a lesson that haunts me to this day: the bacon I've sliced, divyed up into bads, and frozen--because I can't go through a whole belly in any short amount of time--tastes better. There, I've said it, bacon I've lovingly prepared tastes better after I froze it. Please don't hit me with sticks. Actually, now that you mention it, I wonder if I have ever not frozen any bacon I made. I guess I occasionally fry up a piece or two right after I slice it, but almost all of it goes into the freezer immediately. I haven't noticed any profound difference, but I never gave it much thought, either. How would you describe the flavor change? Were you making the maple bacon, or one of the modifications Ruhlman suggests? I've made applewood smoked bacon, plainly cured bacon, and maple syrup bacon, all of which I've made with sad little bellies I can get in town or the behemoths from Nieman. The striking difference is in the consistency of flavor throughout the belly--if you slice and eat right away, even after a fourteen day cure, invariably some parts taste really porky and some parts taste really cured. Freezing it, in which it still appears to continue curing, somehow allows the flavors to blend much better imo, especially with smoked bacon. 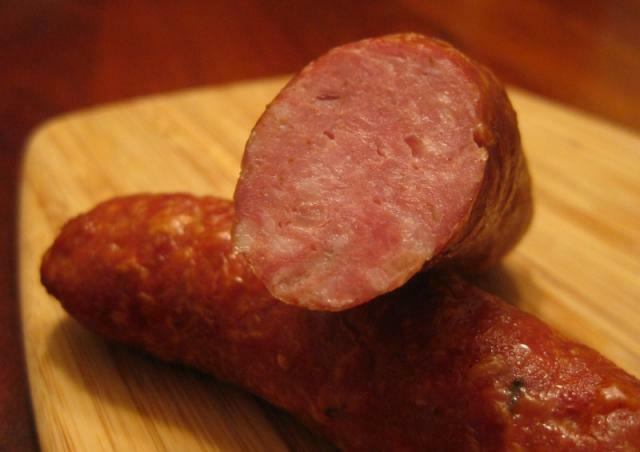 Your andouille looks good, but I'd like to recommend looking into modifying the recipe to be more like the stuff from LaPlace, LA. 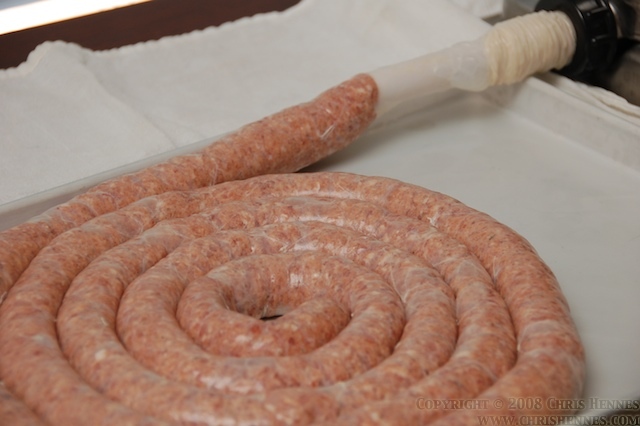 Look up the blog "Off the Broiler" and you'll find a great article about Wayne Jacob's and how they make their Andouille. 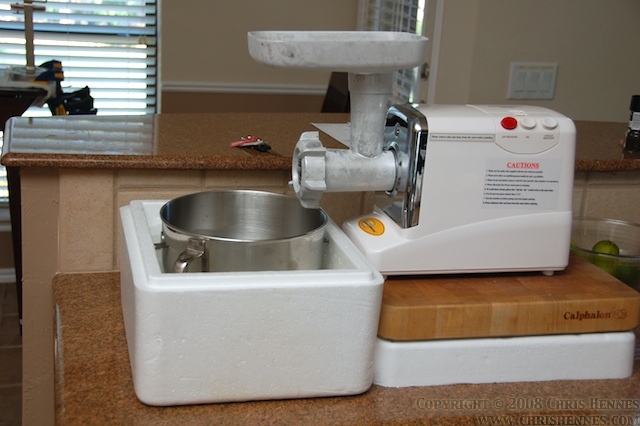 I find that the Ruhlman method is too ground and that the wrong casing is used. 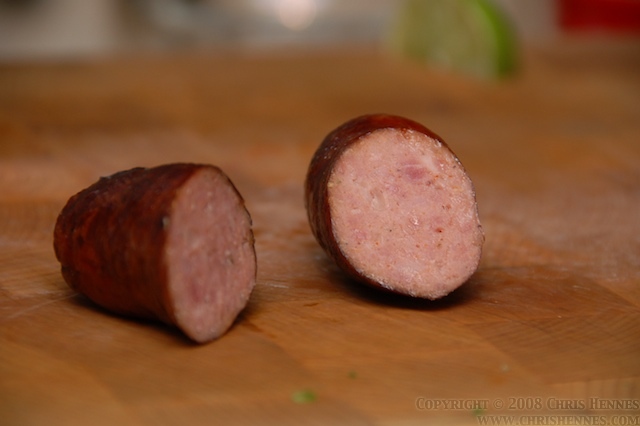 Andouille is very course and usually due to that fact, it's stuffed into beef straight middles. 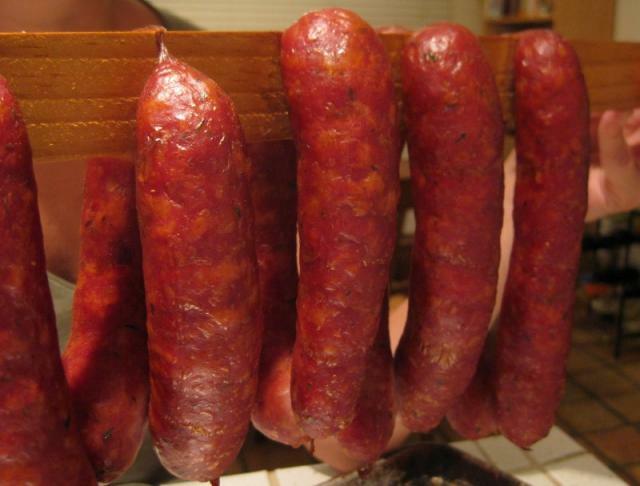 I've had success with collagen casings for smoking Andouille. 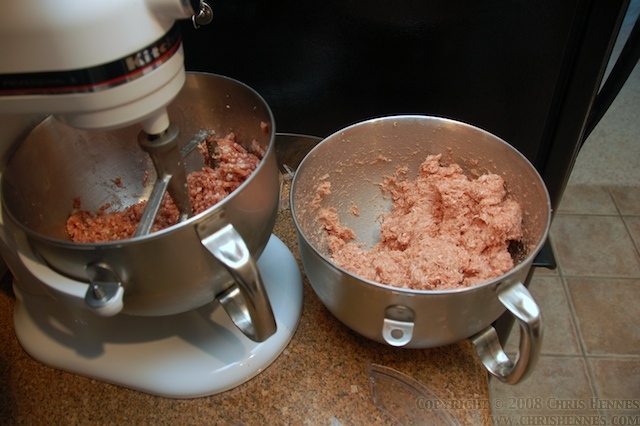 Also, since I don't have a 1/2 inch plate for the rough grinding like what Wayne Jacob's uses, I grind half of the meat through my largest plate, then I hand chop the other half of the meat into 1/4 inch cubes. 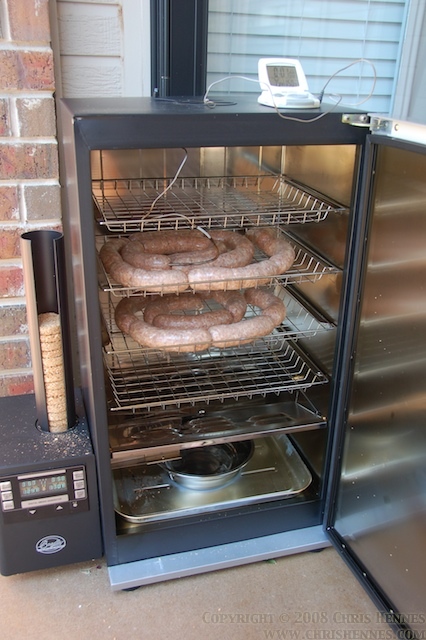 Last, the sausages are fully cooked to an internal temperature of 150 over five or so hours of smoking over pecan/white oak. 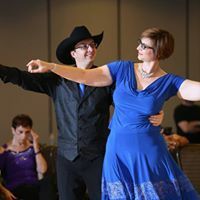 Good luck if you decide to try out a different style. Thanks for the info - I do remember the andouille I had in Louisiana being a more coarse grind. We'll give that a try next time around. 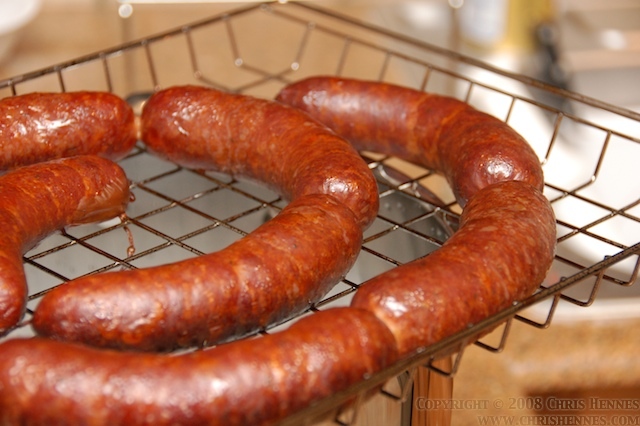 I had forgotten how good those Andouille were: I have a couple new toys that needed breaking in, so I had another go at the Hot-Smoked Andouille as well. I am using one of the three five-pound bags of trim from the hog I just bought so I've got a little more fat than usual, but not that much: most of the trim seemed to be regular meat. 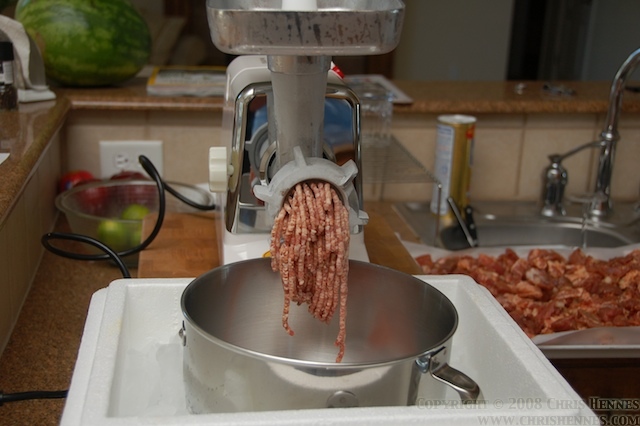 This is the Northern Industrial grinder that gets all the raves over on the Meat Grinders topic. Everything is still properly chilled at this point (the meat was refrigerated overnight with the seasonings, then put in the freezer for three hours before grinding). 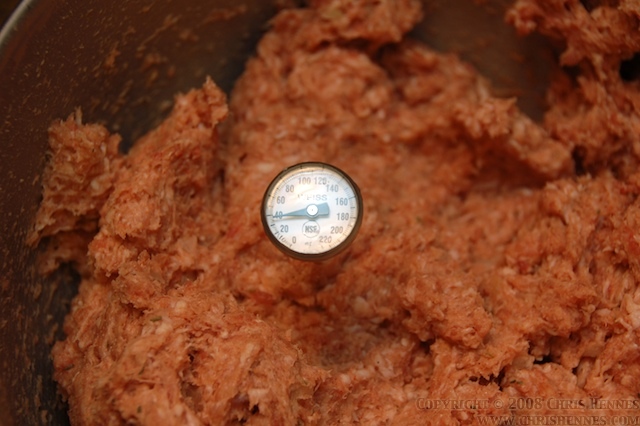 Temp check after mixing for 60 seconds shows that the meat temp has risen to 38 degrees F: getting warm, but still acceptable. This is where it is easy to screw up, though: 60 seconds is not very long, and things heated up considerably during that mix. Keep your eye on the temperature during this process! 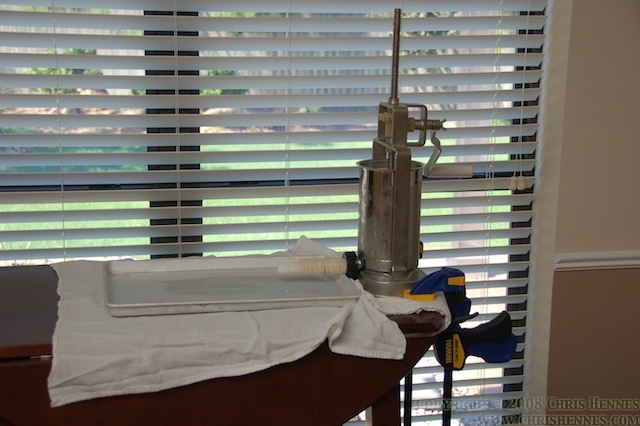 This is my current stuffing setup: I have a couple QuickGrip clamps that I am using to secure the stuffer to the table. This ended up working really well. I had dreamed of doing a more permanent install of the stuffer, but I don't think that will be necessary after all.